Ken Liu (http://kenliu.name) is an author of speculative fiction, as well as a translator, lawyer, and programmer. A winner of the Nebula, Hugo, and World Fantasy awards, he has been published in The Magazine of Fantasy & Science Fiction, Asimovs, Analog, Clarkesworld, Lightspeed, and Strange Horizons, among other places. Kens debut novel, The Grace of Kings (2015), is the first volume in a silkpunk epic fantasy series, The Dandelion Dynasty. It won the Locus Best First Novel Award and was a Nebula finalist. He subsequently published the second volume in the series, The Wall of Storms (2016) as well as a collection of short stories, The Paper Menagerie and Other Stories (2016). He also wrote the Star Wars novel, The Legends of Luke Skywalker (2017). In addition to his original fiction, Ken also translated numerous literary and genre works from Chinese to English. His translation of The Three-Body Problem, by Liu Cixin, won the Hugo Award for Best Novel in 2015, the first translated novel ever to receive that honor. 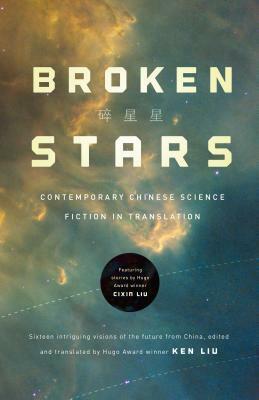 He also translated the third volume in Liu Cixins series, Deaths End (2016) and edited the first English-language anthology of contemporary Chinese science fiction, Invisible Planets (2016).